Pause&Sleep offers premium quality mattresses built to last at an exceptional price. All of our mattresses include a 100-night trial, 10-year warranty and free returns because we truly care how well you sleep! 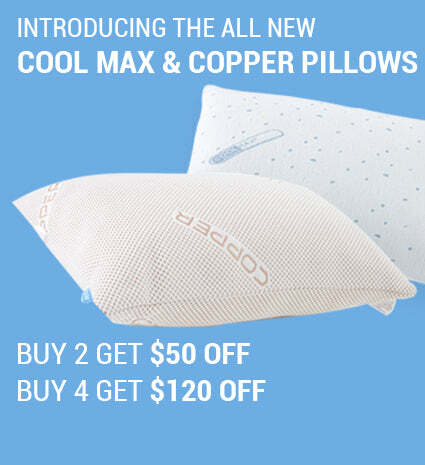 Pause&Sleep offers the most comfortable mattresses built to last, for the most comfortable prices! You have 100 nights from the day your product has been delivered to decide if the product is right for you. 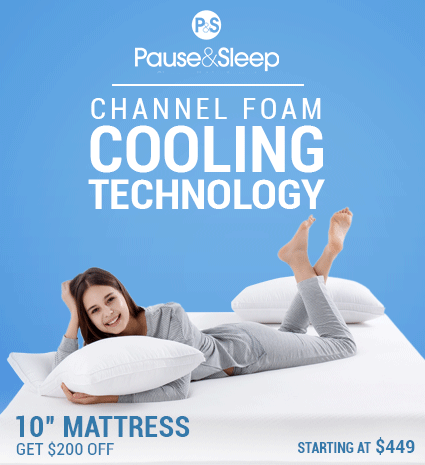 Pause&Sleep recommends that all customers should sleep on the mattress for at least 35 nights to give your body enough time to adjust and allow you to properly judge the mattress. If you are not satisfied after sleeping on the mattress for at least 35 nights, Pause&Sleep will offer a full refund. All Pause&Sleep mattresses are covered by a 10-year limited warranty. Within 10 years from the day the Pause&Sleep mattress is delivered, you are fully covered of any manufacturer defects. The 10-year limited warranty includes a one-time replacement without any fees or charges. The warranty is only valid if the mattress has been purchased directly from Pause&Sleep or any authorized Pause&Sleep retailers. To claim a new mattress within the 10-year warranty time frame, all customers must provide the proof of purchase. All Pause&Sleep mattresses are shipped within 2 business days and will arrive within 3-7 business days. Free shipping all over the USA and Canada, excluding Alaska and Hawaii. All customers from Alaska and Hawaii will be required to pay an additional $200 for shipping. I had been shopping around for over 4 years and never found what I really wanted at a price I could afford. Then I fell upon Pause&Sleep. Service was amazing! Received my mattress as per what was promised and when I contacted customer service they responded in literally minutes... I would definitely recommend their products! Nina F. - Verified BuyerExactly what I wanted! This mattress is incredible. It was super easy to unpack, unroll and was ready to be slept on that night. The foam top feel firm at first, but once you lay on it, it shapes to your body. I would recommend this mattress to anyone who wants a good night sleep! Michelle R. - Verified BuyerIncredible! Kristina W. - Verified BuyerBlew my expectations! I had a spring Mattress for over 10 years. My back was constantly hurting and I wasn’t sure why. I purchased the Pause&Sleep Mattress and my back pain disappeared. 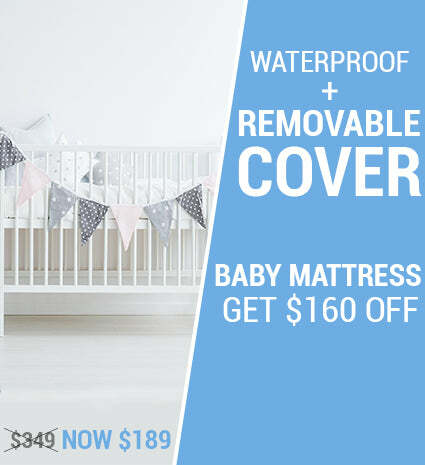 The mattress provides amazing comfort and support. Mubashar M. - Verified BuyerBack pain finally gone! 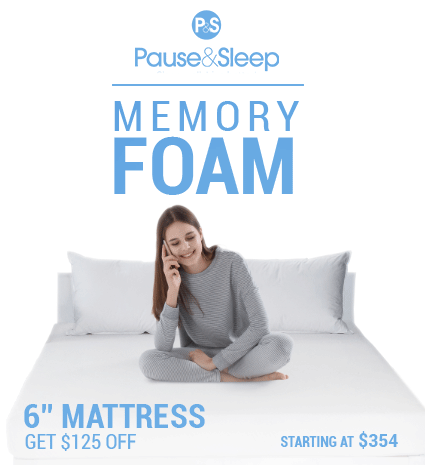 Absolutely love the Pause&Sleep Memory Foam Mattress! It is my first memory foam mattress and I’m never going back to springs! Jennifer C. - Verified BuyerWhat a change! The Pause&Sleep Mattress - What Makes Us Different?